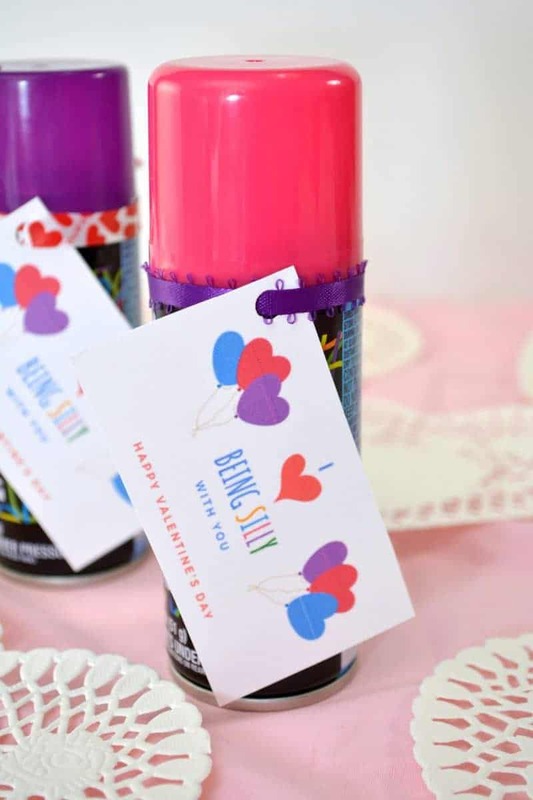 Are you looking for really cute kids valentines ideas for your little ones? Or, maybe you want a cute Valentine for your kids to give to their classmates? Either way, this is such an incredibly cute DIY valentine. And it doesn't hurt that it is an inexpensive Valentine as well! 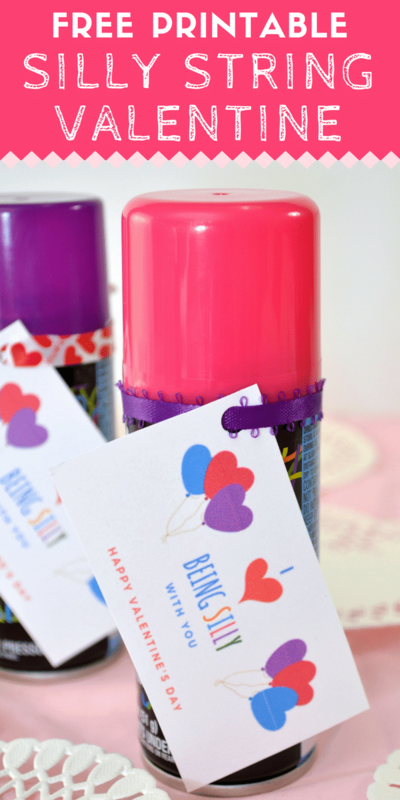 You should be able to find the spray streamers and ribbon for this DIY Valentine at your local Dollar Tree. 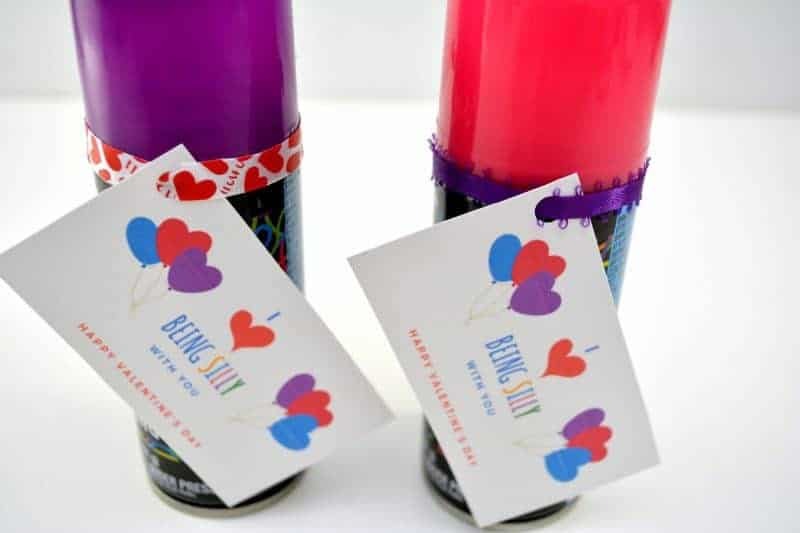 Although if you’re making these Valentines with the kids to give to an entire class, you may want to order Silly String or this generic party streamer spray in bulk online instead. 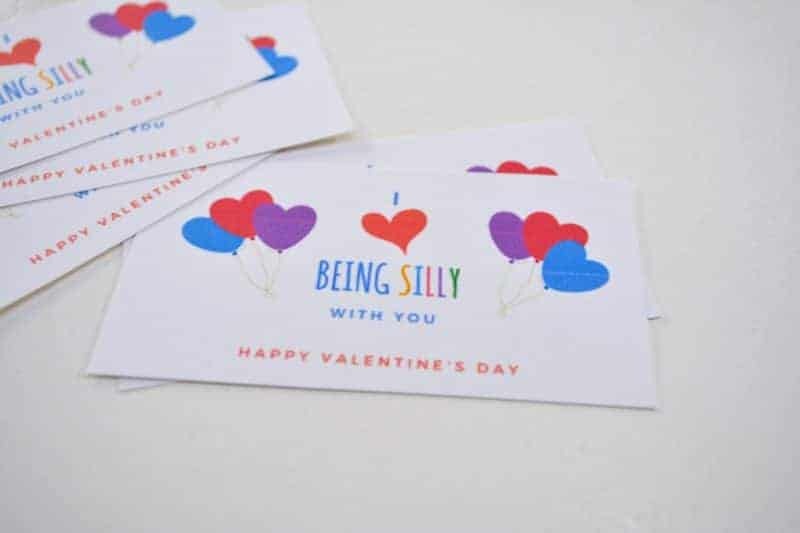 These silly valentines are a great non-candy valentine idea perfect for if your child is in a class that doesn’t allow them to bring in treats. Kids of all ages will love this fun and silly Valentine. 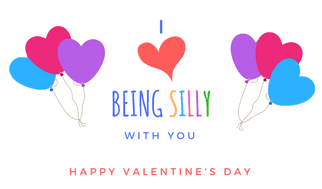 Begin by cutting out your “I Love Being Silly with You” Valentine’s from the included printable. Use a hole punch to make a hole in the corner of each Valentine. 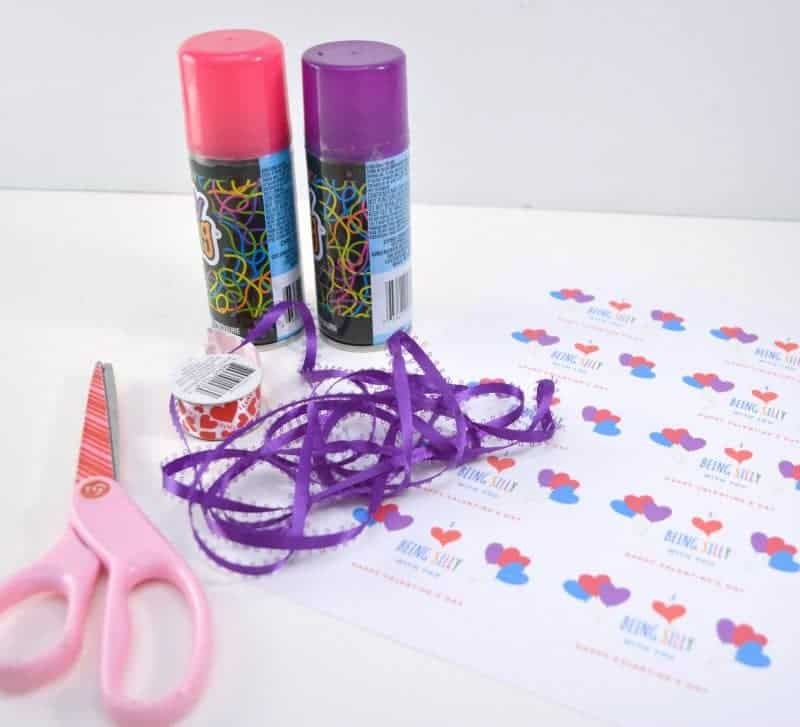 Then, run a piece of ribbon through the hole and use the ribbon to attach the Valentine to the containers. Thank you for sharing. These are really cute. I will have to show the grandkids these. It will be something that we can do together. I love this idea! I have a tween and I never know what to get him. He’s too old for the cutstie things I get my other little ones, but I don’t want him to feel left out! This is perfect! I am definitely going to do this for Valentines Day this year! This is such a cute idea, I really do like this! My daughter likes to get her friends five of her favorite pals something every year, this is perfect and they are 16! i love the whimsy. I love this idea! My son loves silly string and you can get it quite inexpensively.